1. /clear – This command clears your chat room texts. Shall not be often used as users reported that clearing the chat often caused them to lose their ongoing conversation. 2. 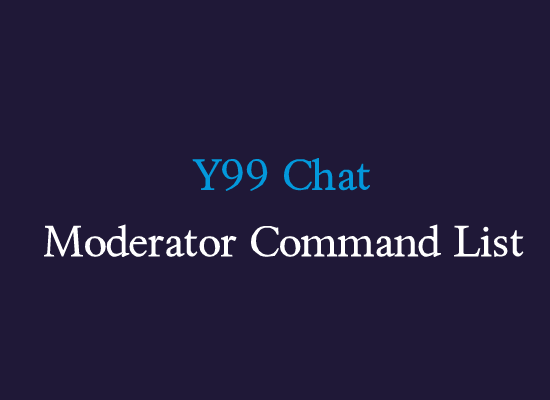 /notice – This command will allow the moderators and admins of a room to create a notice in the chat rooms they own. Mods can tap on usernames in the User list and choose Ban User to kick that account out of the chat and prevent it from joining back. Three dots icon next to messages in public chat brings up a popup menu with Delete Message and Ban User button. Although we had introduced a lot of commands in the previous version of our chat, the new update was found to be incompatible with the for-fun commands. The new addition of commands will be updated in this post. Never give out your personal information to anyone on the site. You are unlikely to have any computer security problems but you might receive unwanted texts & calls. The number can be searched on the other social network sites you use and your social profiles can leak your personal information(name,age,location,photos).